Violinist Rachel Barton Pine has a new album out which explores both the virtuosity and the lyricism of the legendary violinist/composer, Nicolò Paganini. 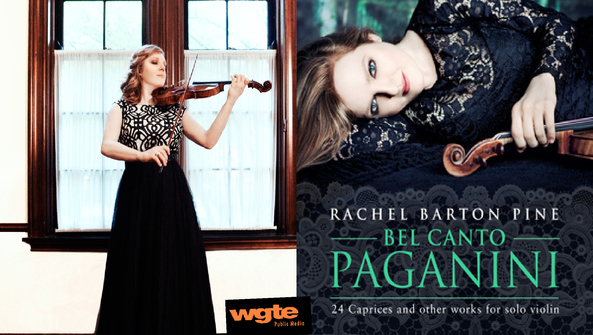 In Bel Canto Paganini, Rachel takes on the daunting 24 caprices for solo violin, plus some rarely heard Paganini gems. Rachel even offers a composition of her own in tribute: a set of variations on the New Zealand national anthem. The Billboard chart-topping violinist joins us for a conversation about Paganini, his life, and his music.